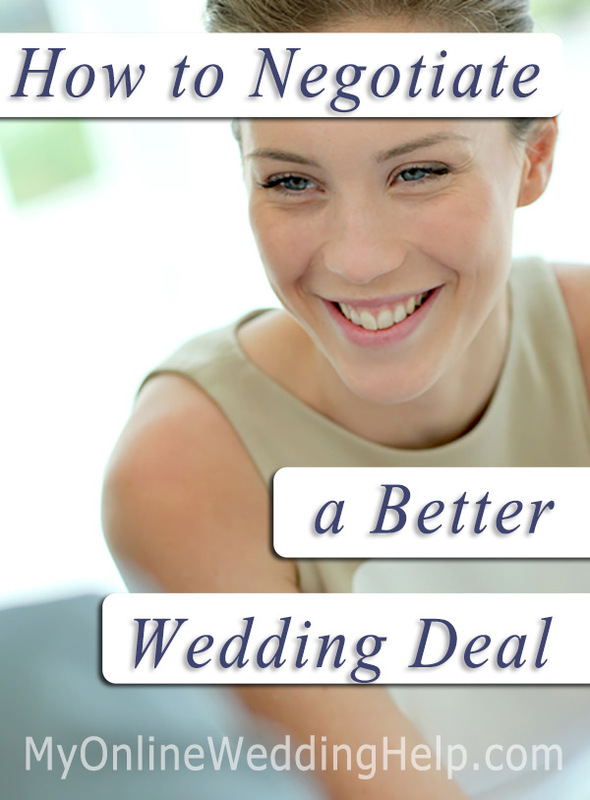 One way to save money on a wedding is to negotiate with vendors and venues. How aggressively you bargain depends on your comfort level, so if you are hesitant about haggling you may want to hire a planner to help; the good ones are adept at it and have already-established relationships. Start the conversation in the right town by letting them know you are considering other options and you do not have a lot to spend. Ask if they have any specials for you at this time. Ask for a freebie or two to be thrown in–ideally, items or services easy or inexpensive for them, but valuable to you. See if you can get a discount by paying cash up front. If the published packages are not right for you, go “off the menu” to reduce the cost and get only the items and services you need. Something else to consider when comparing prices is better does not necessarily mean lower cost. You are looking for the best value based on your needs. If–in the end–you get an inferior result or don’t get what was a high-priority item for you, even though the cheapest deal won’t be a good value. Wedding Planning Tips for Brides on a Limited Budget.